Walking into The Liquid Rooms in Edinburgh slightly late thanks to traffic, it was very inspiring to see the venue already packed out and ready for a great night of live music - featuring the usual high caliber of bands that Frank Turner is known to choose to play with him. The early turnout, despite door times being pushed to 6pm spoke volumes about the kind of fans that Frank Turner appeals to, and it was obvious this was going to be a memorable show. The Homeless Gospel Choir were just finishing off their last song as we arrived and I can’t shake this feeling that we missed a brilliant show from the Pittsburgh based singer-songwriter known for his insightful protest songs. The crowd seemed readily warmed and I saw enough to know that I won’t miss the opportunity for a full set of his next time round. 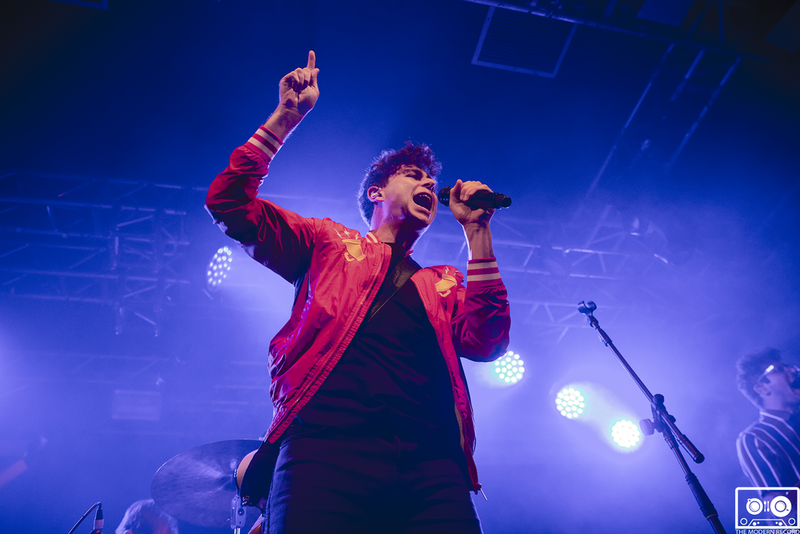 Next onto the stage was Canadian soulful rock n roll band Arkells. Confidently strutting onto the stage as the lights beamed down, they burst into “Knocking At The Door” to get the already eager crowd clapping their hands and moving their feet. Next in the set was “Private School” where the band was joined with a special friend they had brought with them from a previous show: a lucky young girl called Beth who jumped in on guitar and could not look happier which seemed to go over well with the crowd. The rest of their set followed the same formula of being wildly soulful and energetic, featuring songs such as the political number “People's Champ”. I couldn’t help wonder if there was a literal correlation of them looking for the people's champ and the rumours of The Rock running for office. Next to the stage to play show number 2156 of his career: the ones we had all been waiting so patiently for, Frank Turner and The Sleeping Souls. 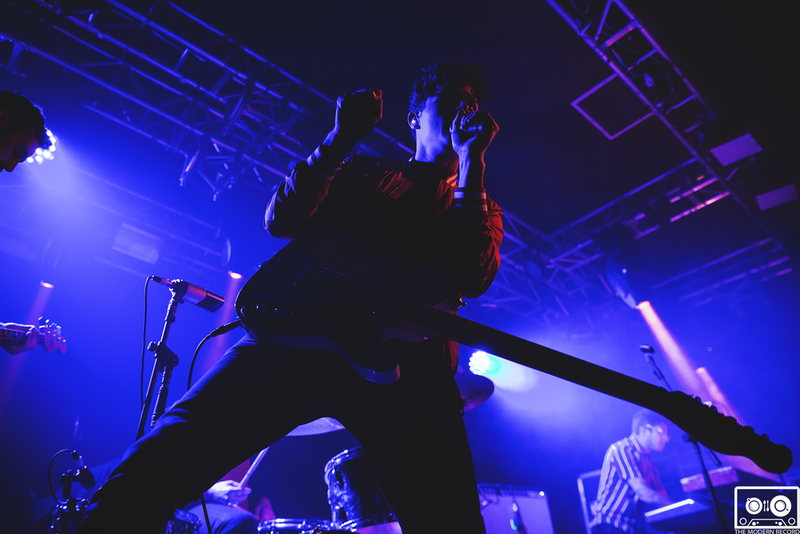 They burst onto the stage with no intention of slowing down the night, straight into “1933” from the upcoming new album Be More Kind which is due out on May 4th via Xtra Mile Recordings. It was clear that this gig was going to be a brilliant one, as we were treated to a platter of some of the bands more recent hits and some tracks from the upcoming album, including most recently released “Make America Great Again”. It was hard to believe that this track came out only two weeks prior as the crowd acted as the band’s backing vocalists - singing along word for word - a theme that by this point had become very well established in the night. Frank Turner was constantly interacting with the crowd in the way you would expect from our beloved story teller. Making jokes about illness working its way through the band - which in my opinion did not lessen the performance - and telling the audience of some of the charities that he supports. Reminding us all that not only should live music be accessible, enjoyable and welcoming to all, but also that we should “Be More Kind”. After a few more crowd favourites and a couple requests for dedicated fans who had been to multiple shows (apparently 82 gets you a request) and we arrive at what undoubtedly was one of the most memorable moments of the night. 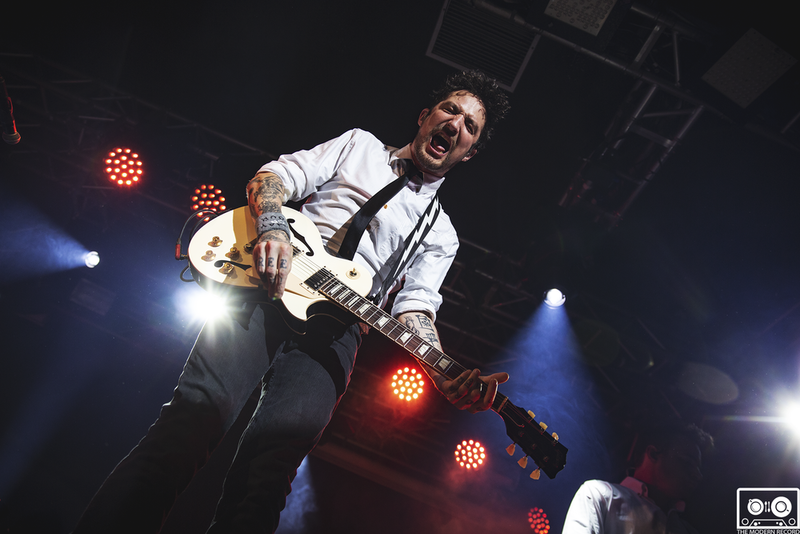 The Sleeping Souls take their “union mandated break” and leave Frank Turner to perform a few tracks with just himself, his guitar and a sold out Liquid Rooms. “St Christopher Is Coming Home” was the first in the trio of acoustic songs and you could not help but feel the crowd come closer together as we warmed up our vocal chords for “The Way I Tend to Be". 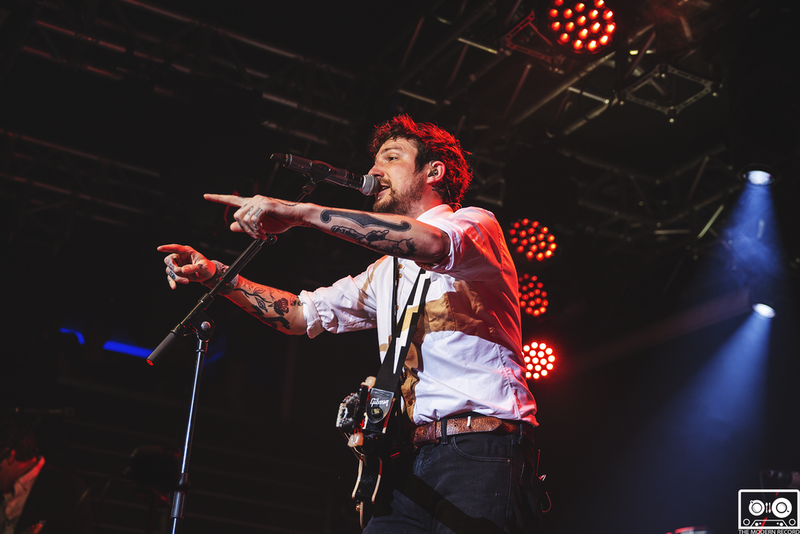 At points you could barely hear Frank Turner over the amazing sound of what must have been every voice in the venue singing along in perfect harmony, and even Frank himself could not help but have a massive grin on his face. Much of the same continued through “The Ballad of Me and My Friends”, where after The Sleeping Souls rejoined him on stage to continue on. The band played a few more tracks before exiting the stage. The crowd was typically hungry for more, the chants for “one more tune” growing loud throughout the Liquid Rooms. Naturally in typical encore fashion, the band returned to the stage as Frank teases that we only asked for one more, offering us the chance to up our bid… an offer that was gratefully accepted. The band burst into action once again and Frank decided it was time to go crowd surfing as the welcoming crowd carried him around the room before returning him to the stage. Frank is known to dance with the other band and crew members during ''Four Simple Words" - we find him in amongst us and waltzing with a lucky lady, showing us once again that he is not afraid to get involved with the fans. We are treated to one final song as we are reminded to take a “Polaroid Picture” to end what can only be described as an amazing night of live music. I didn’t have to go to 82 shows to get my request, as the setlist probably falls as close to perfect as can be expected from a performer with such an impressive back catalogue of amazing music. If I were to summarise the evening with a TL;DR it would be this… It was incredible.